Taipei, Taiwan – 26th June, 2013 – Taiwan –based Genius is an international leading company in computer peripherals, introduces a new 2.1ch subwoofer system, the SW-A2.1 700 for desktop/laptop users. Its wooden subwoofer has a 4inch unit driver with a wide reflex cabinet for excellent deep bass performance. The elegant satellite speakers have a 50x90mm textile-covered driver for clear and detailed mid and high range frequencies for realistic sound. subwoofer for easy control and recognition. In addition, SW-A2.1 700 has a AUX in and headphone jack, for audio input from various mobile devices for personal enjoyment. 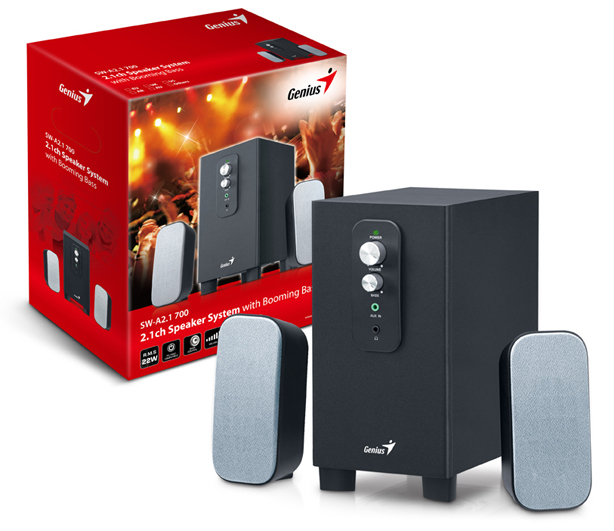 SW-A2.1 700 is ideal for listening to music, watching movies or playing games with a wide range of frequencies and enhanced bass. 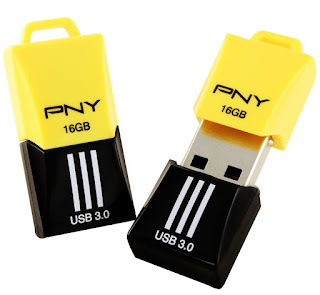 PNY Technologies launched its newest high speed USB3.0 flash drive that will set the roads on fire. 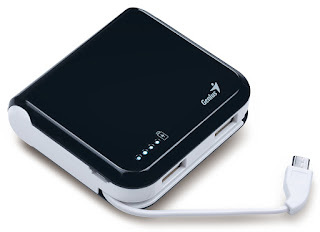 The aptly named F3 Attaché is meaning Fast USB3.0 and to emphasis its high speed attribute. It is very tiny and can easily be carried in your pocket. Its good looks make it an ideal collectible gadget or gift item. The drive is encased in a black polymer enclosure (representing the engine or bonnet) with a yellow cap (representing the passenger compartment) to protect the plug. The cap has a keyhole to attach the bundled lanyard so that the drive can be attached to a purse, keychain, or belt and prevent it from getting lost. The drive supports high speed USB 3.0 standard which is several times faster than USB 2.0. This is very useful with the high capacity drives because you will not have to wait for too long for the data to transfer. In case your PC doesn't have a USB 3.0 port, this drive can still work with USB 2.0 as it is backward compatible. It is available in capacities ranging from 8 GB to 32 GB, thus allowing you to easily share your data such as music, photos, videos, and documents with your friends or in the office. Compatible with Windows as well as Mac, the PNY F3 Attaché comes with a 5-year warranty from the date of purchase. Amtrak Info System has launched education tablet in Rajasthan, Amtrak My Class Buddy A700 E. The model is designed to complement to the government of Rajasthan’s recent announcement of distributing cheques in 35,819 government schools to 3.5 lakh students who have secured 2nd to 11th position in the merit list of 8th class for buying tablets. As per the company’s press release, the 7-inch My Class Buddy tablet is a dedicated Smart School Solution designed to give the best of content for the young students of high school. My Class Buddy – A 700E is equipped with an OS - Android 4.0 (ICS) Cortex-A8, 1.0 Ghz Processor, 7" Capacitive Multi Touch Screen with a resolution of 800 x 480 having Mali 400 GPU along with 0.3 MP Front Facing Camera. It has a 512 MB RAM and it encompasses 4 GB Internal Memory which is expandable up to 32 GB. It comes with a built-in 3 Axis Gravity Acceleration Sensor, Wi-Fi 802.11 b/g/n, 3G with USB Modem, 3.5 mm Std Headphone Jack, Support MIC, 3600 mAh Li-ion Polymer Battery. Golden Systems Middle East (GSME) announced that it has won the ‘Best Contribution’ award for 2013 from KINGMAX for its outstanding sales performance and contribution to promoting KINGMAX’s products across the Middle East region. 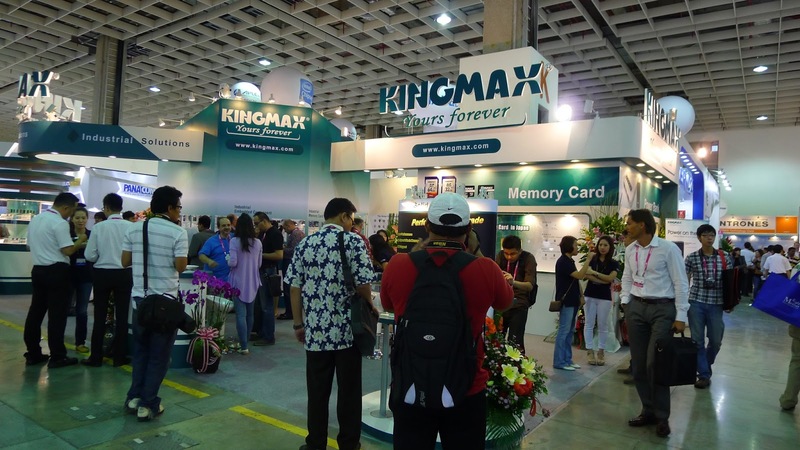 KINGMAX is a world renowned leading brand of DRAM and flash memory committed to the innovation of the best memory module solutions. As its distributor for the UAE and the GCC, Golden Systems has played an important role in the growth of KINGMAX’s business and market share in the region. Konica Minolta hosted its 3rd annual partner meet from June 13th to June 15th, 2013 at Ramoji Film City, Hyderabad. This Annual Partner meet is Konica Minolta’s biggest partner engagement programme, where the top management of the company closely communicates with the partners about company’s annual strategy announced the press release. This year, the theme of the meet was “The Year of Challenge”. The main aim of the annual meet was to share knowledge on new technology and product domains with the partners in order to empower them with new tools that can be adapted by them in making Konica Minolta’s business a success. The emphasis was laid on how partners can turn market challenges into new opportunities by offering right solutions. Apart from the whole team of Konica Minolta, there were more than 90 channel partners who participated in the annual meet along with 2 senior executives from Konica Minolta Inc., Japan. Konica Minolta India runs a program called “Perfect Partner”. Under this program, Konica Minolta recognised the commendable performance by its partners by presenting them with various awards. This program is based on various parameters besides the revenue and business related issues. “We thank entire team of Konica Minolta for organising such a fantastic meet. Overall, it was a wonderful experience for us which not only provided professional knowledge about the company, but we also got to know about new ideas and vision for Konica Minolta products from the long term growth of perspective.” said, N K Khurana, Managing Director, Techmart Digital Systems Pvt. Ltd.
“This was for an excellent Annual Partners Meet from Konica Minolta. The quality and substance of the presentations were excellent and in fact all arrangements were meticulous.” said Ganesh Katariya, of Infres Methodex Ltd.
NETGEAR has set up its first demo centre in Bangalore, India. This centre will be focusing on developing business solutions across switching, storage and wireless range of products. The new Customer Demonstration Centre and Training Facilities will offer a complete pre-sales experience and a better understanding of the products to the users. The company’s press release said that NETGEAR, which is widely recognised for providing wireless solution to the end users, is also a one stop shop for SMBs and Enterprises with portfolio of switches, storage and wireless networking products. In the near future, NETGEAR plans to invest substantially in opening demo centres across various strategic locations throughout India. After Bangalore, a similar demo centre in Delhi is in the pipe line. This will help NETGEAR cover both north and south India market. Synopsys, Inc. announced that OCZ Technology Group, Inc. has achieved first-pass silicon success for its NAND flash Vector SSD using Synopsys’ DesignWare DDR2/3-Lite PHY, Embedded Memories, STAR Memory System solution and Professional Services. Choosing Synopsys technology and services enabled OCZ to accelerate the completion of their project, meet their performance requirements and achieve first-pass silicon success with a production-ready design. Targeting the high-end consumer market, the OCZ Vector SSD was designed to deliver superior sustained performance through its new, high-performance Indilinx Barefoot 3 flash controller supporting the SATA-3 protocol. For OCZ’s design team to effectively focus on developing the Barefoot 3 controller while meeting their broader design goals, they needed reliable, silicon-proven IP, an integrated design flow and design expertise to augment their own. OCZ selected Synopsys’ high-performance and area-optimizedDDR2/3 PHY, embedded SRAMs and integrated memory test and repair solution. To mitigate risks and accelerate the implementation process, OCZ deployed the Lynx Design System, an integrated RTL-to-GDSII block- and chip-level design environment with unique visualization capabilities for efficient design exploration and reporting of design status and trends. In addition, Synopsys’ design consultants worked closely with OCZ’s engineers throughout the implementation of their chip, delivering expertise and advanced methodologies in IP integration, physical design, and physical verification that enabled OCZ to complete their implementation in less than six months. “Companies such as OCZ who develop innovative electronic products need design solutions they can rely onto mitigate project risks and meet tight time-to-market windows,” said John Koeter, vice president of marketing for IP and systems at Synopsys. “Synopsys invests heavily in developing high-quality DesignWare IP as well as providing tightly correlated tool flows and experienced design consultants so our customers can focus on the aspects of their design that differentiate them from the competition." Fortune Marketing has launched an exclusive range of Divine Series & Zodiac Series of USB Flash Drives. The Divine series includes Om Shree Ganesha, Devadeva, Mahavira, Shree, Khanda, Shri Krishna, Dhanalaxmi, Kanha, Hanuman, Radha Krishna, Tirupati Balaji and Sai. The new series of Zodiac Sign Flash drives available in all the Zodiac signs- Aquarius, Pisces, Aries, Taurus, Gemini, Cancer, Leo, Virgo, Libra, Scorpio, Sagittarius and Capricorn. 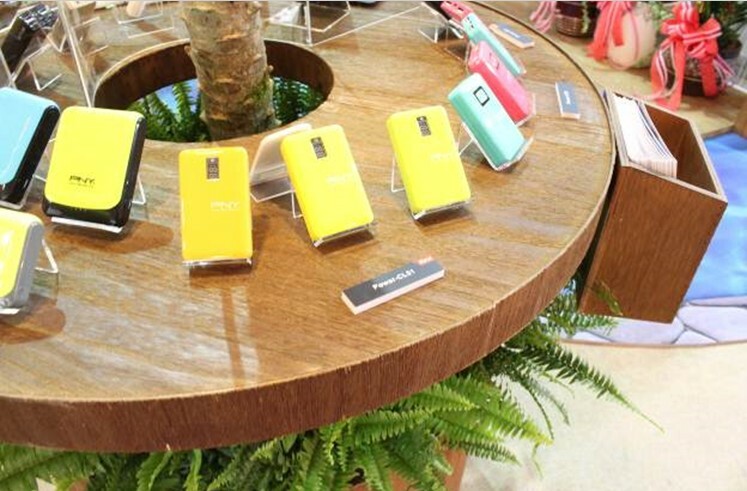 The pen drives are available in 4GB, 8GB, 16GB, 32GB & 64GB. Easy plug and use operation makes it compatible with all existing versions of Windows operating system and Mac OS 10.3 above. Introducing the new range of products, Manoj Gupta, Director, Fortune Marketing Pvt. Ltd said, “We are delighted to launch these beautiful & artistic USB Flash Drives, these will not only be your companion at work but also be a good luck to you. We feel these can be a best gift option for our consumers as these are authentic in style but geek in nature”. Enter is a leading Hardware brand specializing in product like Speaker, Headphone, Neckband, Bluetooth Headset, Gamepad, Mouse, Keyboard, Web Camera, TV Tuner, Card Reader, Hub, Networking products, ADD on Card, USB Flash Drive (Zodiac Series, Credit Card & Divine Series Flash Drive) etc. These products enhance personal productivity and are available at affordable prices for today's PCs, Laptops and mobile devices. Right on the heels of launching its 8 series motherboards at Computex 2013, Taiwan, Gigabyte has commenced a major countrywide drive to train its reseller and system integrator (SI) partners, on these motherboards that support Intel 4th generation Core processors. The 8 series training program series was kicked off at the reseller event held on June 12, 2013, in Ahmedabad, Gujarat. The month of June will also witness similar sessions across other major Indian cities, such as New Delhi, Mumbai, Kolkata and Bangalore. Thereafter in the July-August-September quarter, the training program will be conducted at over 15 Tier 2 cities across the country. Rapoo has introduced the laser engine 3920P mouse with 5GHz wireless connectivity. 3920P enables users to work freely on any surface even glass with anti-interference wireless connection. The new generation energy saving technology and power on/off button endow it with an enviable 18 month long battery life and frees you from the trouble and cost of changing batteries frequently. RAPOO 3920P is designed with new generation energy saving technology and its power on/off button enables its battery to last for 18 months. Apart from the usual mouse functionality, two extra buttons are present on the left hand side of the mouse. These function as Forward/Next and Back buttons. The product also has a DPI switch and scroll wheel, which can be tilted on either side to move the mouse pointer laterally on the screen. RAPOO 3920P 5G wireless mouse is ideal for discerning power users who expect more features and want to navigate seamlessly. Sunil Srivastava, India Sales & Marketing Manager at RAPOO India said, "RAPOO 3920P is a multipurpose and feature-packed mouse that gives users flexibility. With all the creative features it possesses, it is one of the most innovative mice in the market and boasts an incomparable battery life of 18 months. Customers who buy this product will get a unique, innovative and trouble free mouse." BANK has successfully outsourced its entire printing requirements to Canon; which has helped them streamline and enhance its printing infrastructure across 430 of its offices. YES BANK has been a Canon customer since last five years and over 500 of Canon equipment’s are installed across all the locations. The engagement with YES BANK involves Canon to manage all the printing services, including consumables, on a per-click model basis. YES BANK was facing a challenge in consolidating its printing infrastructure especially in tier II and III markets. After analyzing their requirements and keeping in mind that the bank was in its growing and expansion stage, Canon suggested Managed Document Services (MDS), a flexible and cost effective model. YES BANK’s goal of attaining standardization across all locations was achieved with the support of Canon providing them accessibility to monitor and track company’s print environment and usage on Real-time basis. Canon’s Managed Document Services model also relieved the IT team of YES BANK to look at larger business requirements, be more productive and leave the printing needs to Canon. Canon’s unparalleled after-sales services, strong technical expertise and experience resolved printing related issues within 24 hours of logging a complaint. With duplex mode enabled on all the Canon MFDs, YES BANK was able to control printing, reduce cost and consolidate its printing infrastructure. Dr. Alok Bharadwaj, Executive Vice President, Canon India said, “We are privileged to be associated with YES Bank’s growth journey in India. Our five year association with them has helped us understand their business and offer them an end-to-end printing infrastructure as per their requirement. By adopting Canon MDS, YES BANK has seen a reduction of 35 to 40 percent in overall printing and are able to achieve standardization across locations. With Canon delivering them a high uptime of 99 percent, they have reduced approximately 30 percent of carbon footprint. Canon facilitated them reduce costs, provide monitoring capability, enhanced efficiency, document security and increased employee productivity”. “With this acquisition, Canon now has over 80 large enterprises that have outsourced document services to Canon. BFSI is the most document intensive sector and we are proud to be a partner with YES BANK in their pursuit for efficient operations’’. 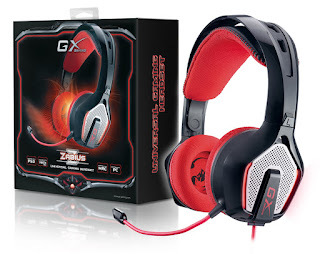 Taiwan –based Genius is an international leading company in computer peripherals introduces the Zabius, a new universal gaming headset for PC, Max, Xbox 360 and PS3 system. For explosive bass in the battlefield, Zabius features 40mm neodymium drivers. 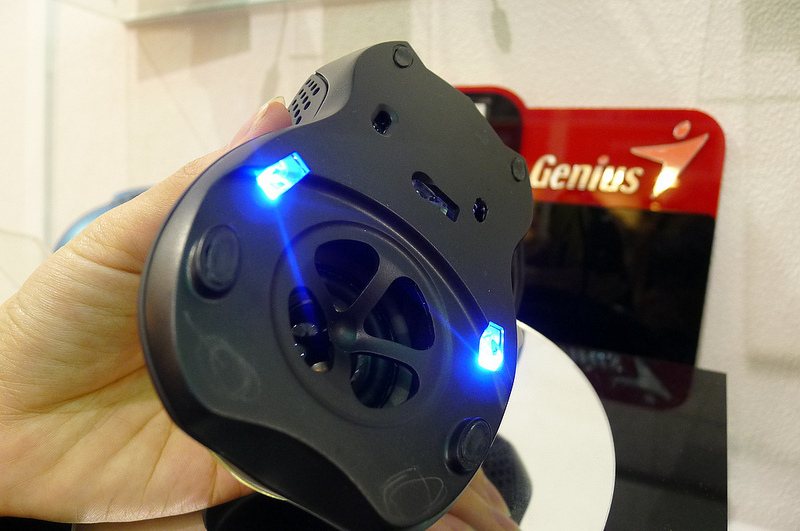 The Cool red led outline illuminates with the bass and makes this headset stand out from all others. Comfortable to wear during long gaming sessions, Zabius has a special ear cup cushion and headband design that allows for more efficient heat and sweat dissipation. The swivel ear cups and a detachable microphone are both designed for convenient storage and travel. Zabius is the headset with many fantastic features. One could not miss it. Top Notch Infotronix has launched their latest Digital Photo Frame ‘Artifice 3’ that lets consumers bring their precious memories to vivid life, with innovative features including video playback function. The Artifice 3 digital photo frame sports a resolution of 800x480 pixels in a vibrant 7-inch LCD screen, and reads media files off a variety of convenient and easily accessible memory devices including USB flash disk and SD/MMC cards. While the screen display ratio is 16:9, the frame preserves the original format of the photos, ensuring that they are not stretched or cropped. Viewers can enjoy their photographs as a slideshow and also zoom in on a particular part for detail. The picture rotation feature helps seamless slideshow while including those photographs shot in portrait mode. The slide shows can be made more interesting and alive with multiple display modes and transitions. The Artifice 3 can also play music (mp3, wav, wma formats), so one can add appropriate background music to those slideshows. The user interface is intuitive and easy-to-use. The Artifice 3 also plays video files in most common formats (Mpeg1, Mpeg2, Mpeg4, DIVx4, DIVx5, H.263, 3GP), as well as standard text (.txt) files, making it suited for use as small signage in offices, educational facilities, retail outlets etc. When not in photo or video mode, one can use the clock and calendar functions (including an alarm), that makes it a truly versatile device. Available in elegant piano-black and glossy-white body-color options, the slim photo frame positively enhances room décor while sharing your precious memories with friends and family. 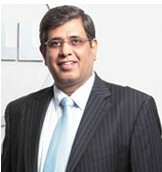 Dell has named Alok Ohrie as the President and Managing Director, Dell India. India is strategic to Dell both as a market as well as for its service delivery capability. Alok will carry the responsibility of further enhancing Dell’s end-to-end solutions capabilities and expanding the company’s strong presence in the Indian IT market. He will continue to position Dell India for long term success and growth. Transcend Information, Inc. announced the addition of the SSD740 2.5” SATA III 6Gb/s solid state drive (SSD) to its industrial SSD product line. Combining cutting-edge SATA III technology with a number of performance and reliability features, the SSD740 is the ultimate SSD upgrade solution - especially for devices equipped with modern processors running more advanced operating systems, such as Ultrabooks, Industrial PCs and notebooks, gaming systems, and handheld appliances. Transcend's SSD740 SSD takes advantage of the next-generation SATA III 6Gb/s interface, DDR3 DRAM cache, and an advanced JMicron JMF667H controller to achieve extremely fast transfer speeds of up to 530MB/s read and 470MB/s write. Essential for handling incompressible data, such as videos, music, and images, the SSD740 also delivers impressive 4k random read/write speeds of up to 283/267MB per second. 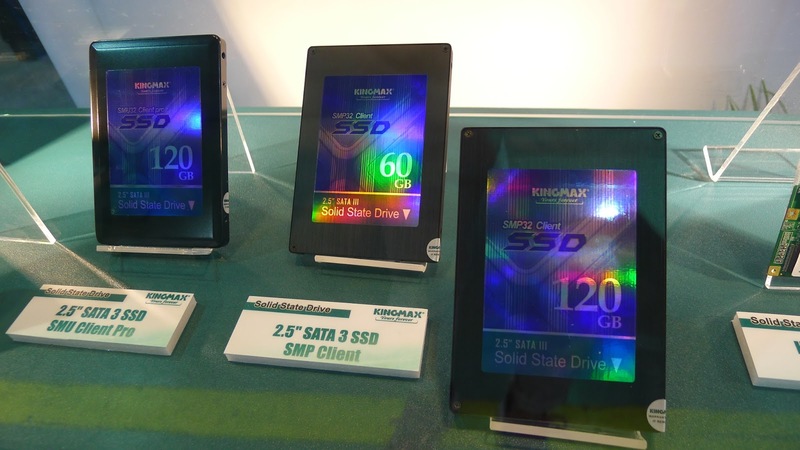 Full supports of the TRIM command, which automatically removes deleted data permanently, and Native Command Queuing (NCQ), which optimizes the order in which received read and write commands are executed, allow the SSD740 to sustain an incredibly high level of performance while enhancing SSD durability and efficiency. In addition to delivering significantly improved performance compared to standard rotating hard drives, the SSD740 measures just 7mm wide and weighs a mere 52g, offering excellent design flexibility and lightweight benefits to manufacturers of small form-factor devices. It uses the same connector found on 2.5” SATA hard drives and is backwards compatible with the SATA II/I (3Gbps/1.5Gbps) interface, allowing older systems to profit from superior performance. Moreover, with no moving part inside, the SSD740 provides portable device users with cool, silent operation and excellent shock and vibration resistance. To maximize mobile device battery life and enhance ease of use, the SSD740 supports the new SATA Device Sleep (DevSleep) feature. Developed by the Serial ATA International Organization (SATA-IO), “DevSleep defines the lowest power state for SATA technology, allowing the PHY and other circuitry to be completely powered off, unlike existing partial/slumber states, which require a partially powered PHY.” Basically, in contrast to reduced power states such as standby mode, DevSleep-compatible portable devices conserve more power by shutting down the SATA interface completely and yet are able to resume working immediately when required. 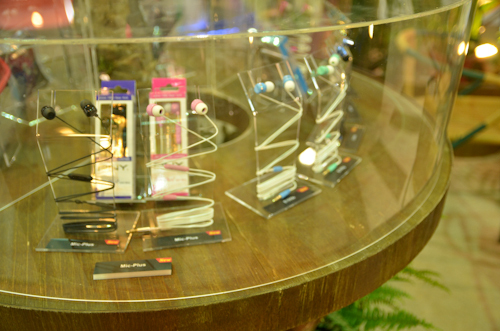 PNY has recently expanded its portfolio by producing many different products such as power banks and in-ear headphones. UI-06 USB 3.0 flash drive is waterproof and dustproof. 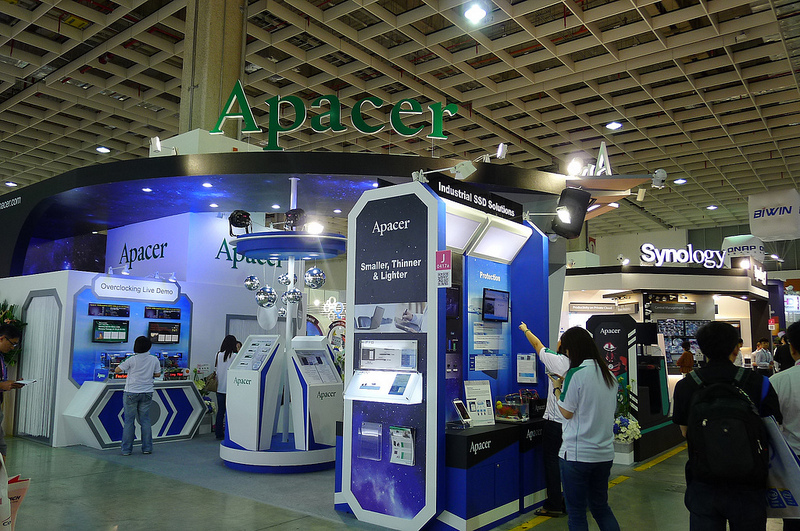 Apacer rolled out a series of application innovative products under three product lines of Embedded Products, Computer-related Products and Mobile Peripherals of the Digital Storage Application Business Division and Digital Live Application Business Division's newly created Cloud platform. These new products focus on five areas, which include High-Speed Operation; Safety and Stability; Strong Protection; Chic Design and Link and Integration. Genius showed off a series of intersting input devices and accessories, ranging from mice with cameras and speakers to a nifty speaker dock for your tablet. 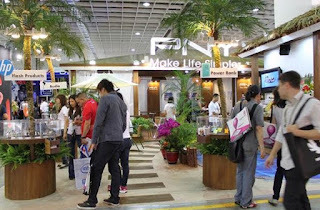 PNY Technologies Inc., the leading designer, manufacturer, and a worldwide leader in Flash memory and consumer electronic products, has been successfully registering its presence at Computex 2013. Well known in Computex for years, PNY every year has a special booth decoration theme. This is really amazing and especially to the visitors, as they always waits for the years to see the new theme every year. The company's unique booth was remarkably different from others as it was themed around the pleasant and relaxing Bali beach. The idea was to show how PNY's modern cutting edge technology and pleasure can easily mix in such an exotic location and deliver the ultimate satisfaction and productivity all at once and it has been successful in sending this message across to its visitors. The popular booth has been visited by over 500 curious visitors the day, thus proving it is being duly noted. 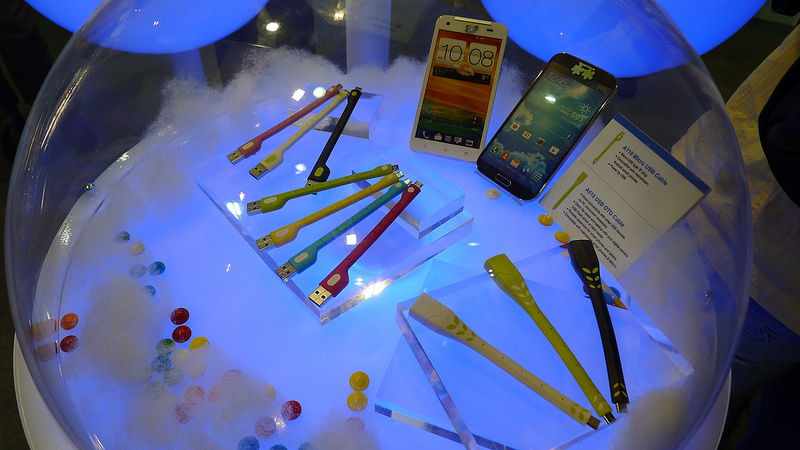 The company displayed various 3C products including its latest power banks and USB 3.0 products and equipment. The power banks go well with the leisurely beach theme where you usually carry your gadgets with nowhere to charge and that is where the power bank really becomes a life-saver as your portable charging station. These include the power banks Power-80A/P104 available in calm colour and Power-C51 available in different hues to suit your mood and tastes. 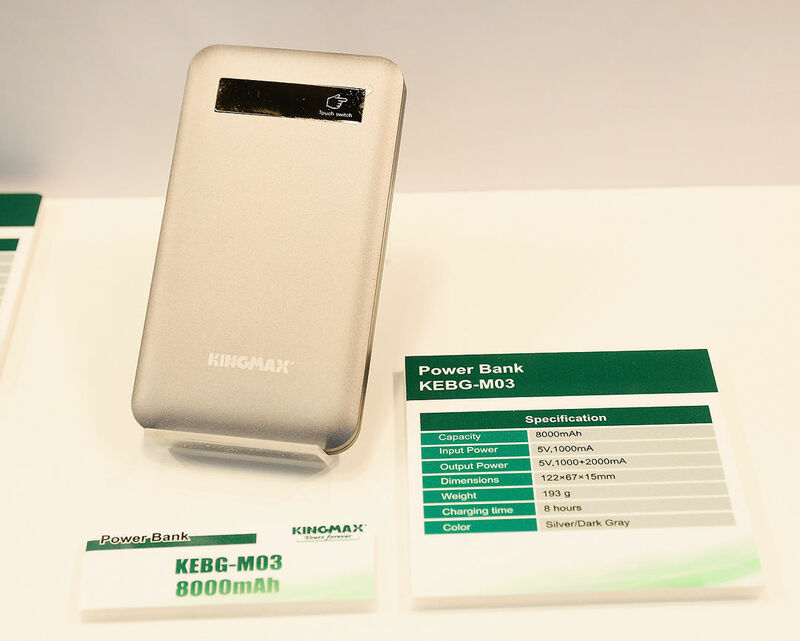 With 2200mAh to an amazing 10400mAh battery capacity that is sufficient to charge almost any gadget. LED indicators make it easy for the user to understand the power and charging status. PNY has done research and used its experience to deliver high quality products with CE/FCC/SGS/UN38.3 certifications. 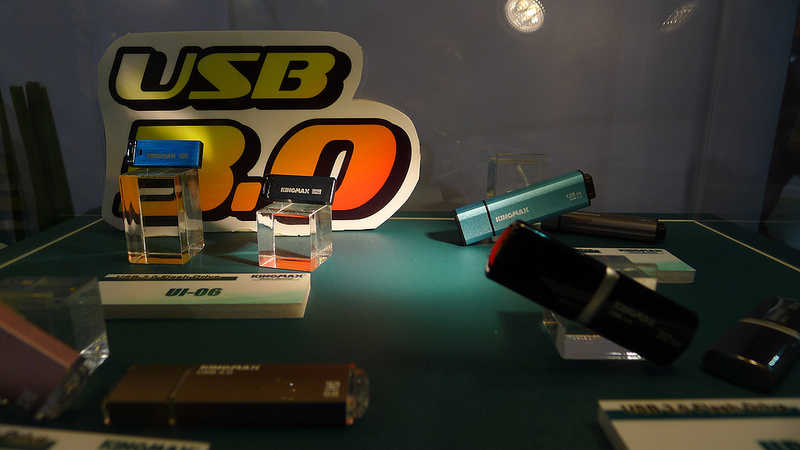 PNY is also showcasing its various USB 3.0 flash drives such as Bar-II, Hook Gold Edition, and Lightning. These elegantly designed flash drives with stylish looks offer high performance due to the fast USB 3.0 interface that is much faster than the older USB 2.0, while also remaining backward compatible to be used on older systems without a problem. 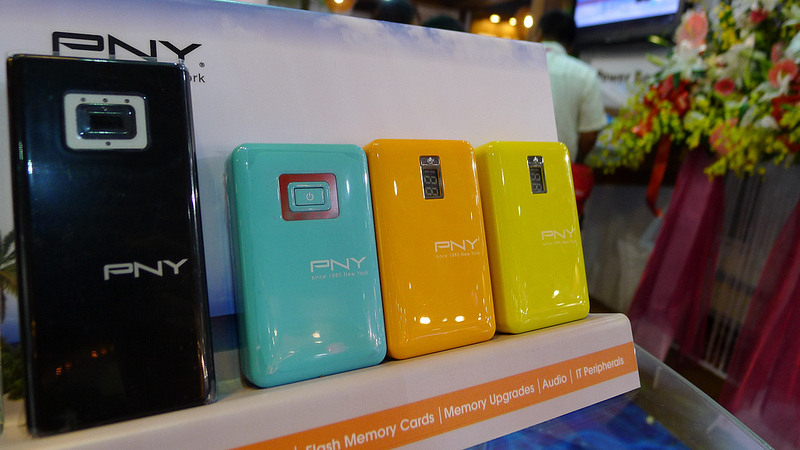 PNY also has other products such as memory cards, headsets, and HP product lines that are being exhibited. 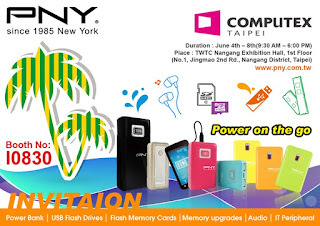 Computex Taipei, which started on June 4, 2013, will last for 5 days and I must say that the PNY booth is a must-visit booth with its interesting, casual, and leisurely getup that will refresh your mood, even while you take a look at its entire product range including memory cards, earphones, DRAM, and other IT peripherals. 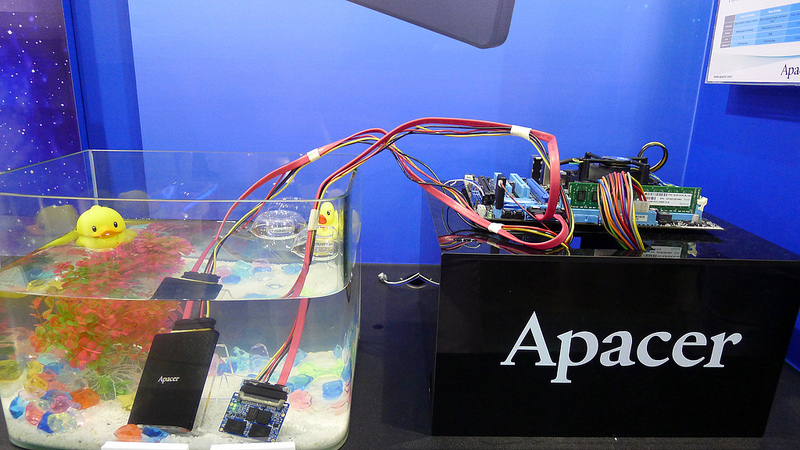 One of the main highlights of Computex Taipei 2013 this year is ASUS’ showcasing its latest range of best-selling and award-winning motherboards. The ASUS booth showcases a range of new motherboards in a variety of form factors, each featuring technologies that transform expectations for connectivity, gaming and overclocking. ASUS also showcased its various new Z87 motherboards with Dual Intelligent Processors 4, UEFI BIOS, Wi-Fi GO! and NFC EXPRESS technologies. 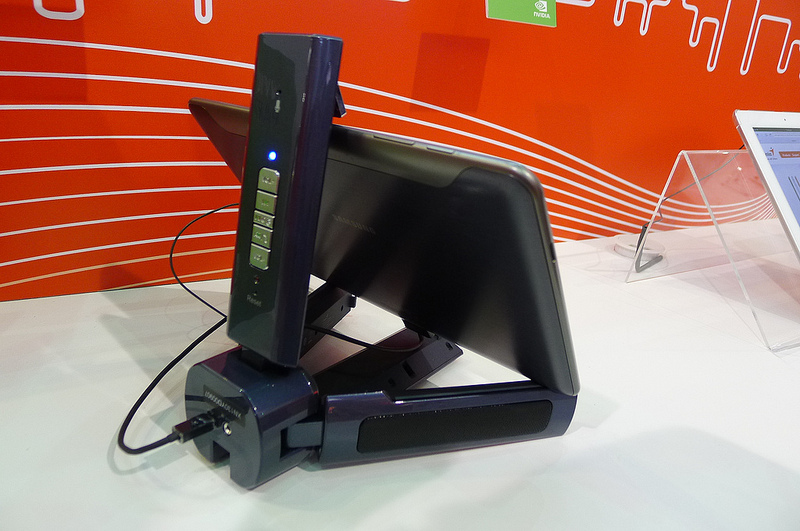 The exclusive NFC Express accessory for ASUS motherboards transforms the way people connect to a desktop PC. NFC (Near-Field Communication) means users can log in to a Windows 8 PC simply by tapping against the NFC Express keychain dongle against the receiver, with no need for a keyboard or mouse. At the booth, ASUS is showcasing how users can easily create multiple profiles to quick-launch favorite apps like Facebook, media players and more. Visitors to the ASUS boot can also witness the innovative ROG Maximus VI Formula motherboard with exclusive CrossChill hybrid air and liquid-cooling. A working sample demonstrates the 20 degrees Celsius-lower temperatures achieved by CrossChill compared to traditional air-cooling, and visitors to the ASUS can literally feel the difference. Also on display is the ROG Maximus VI Impact mini-ITX motherboard that proves small size doesn’t mean fewer features. The Maximus VI Impact is connected to three monitors to demonstrate its graphics performance and visitors can also enjoy crystal-clear 115dB SNR sound from SupremeFX Impact audio with integrated headphone amplifier. For sheer overclocking excellence, the Maximus VI Extreme motherboard does what its predecessors have been doing for years — breaking world performance records. Using the sophisticated OC Panel console, ROG team members Andre Yang and TL set 10 new performance records with the Maximus VI Extreme at the Intel Corsair OC championship at Computex Taipei 2013. GIGABYTE TECHNOLOGY Co. Ltd., a manufacturer of motherboards and graphics cards, has launched its latest 8 series range of motherboards supporting Intel 4th generation Core processors. Equipped with a range of new features and technologies including industry-leading digital power delivery, advanced network and device charging, gold plated hardware, new designed UEFI DualBIOS, GIGABYTE App Center and killer good looks, GIGABYTE 8 series motherboards are the most compelling choice for your next rig. GIGABYTE Ultra Durable 5 Plus: GIGABYTE Ultra Durable 5 Plus debuts on GIGABYTE 8 series motherboards, with a range of features and component choices that provide record-breaking performance, cool and efficient operation and extended motherboard lifespan. the OC Formula motherboard and its overclocking grandeur as it broke multiple world records and scooped aplenty awards. Well, just now ASRock has revealed the next generation Z87M OC Formula, and it seems as this one is born to be even faster. Nick Shih, the master of overclocking and his friend John Lam from HKEPC OC has already broke a world record by overclocking a single Team Group - Xtreem-LV-2666 DDR3 4G memory module to an unearthly 4095MHz on the new motherboard! ASRock’s next gen OC Formula Series inherits lots of its predecessor’s features, including the Power Kit, Connector Kit, Cooling Kit, and now it also surpasses its predecessor by owning the new Monitor Kit and 8 Series exclusive technologies, code named A-Style. Packed with Home Cloud, Purity Sound, HDMI-In, tons of Nick Shih’s secret overclocking profiles and a whole lot more, overclockers will find the new OC Formula Series motherboards their best choice for pushing extremes. COMPUTEX TAIPEI Asia's best one-stop IT Sourcing Venue! With constant changes rocking the ICT industry, COMPUTEX TAIPEI comes at a vital moment to connect all the innovation, latest tech and the market. For five amazing days (June 3-8, 2013) the eyes of global IT will be on COMPUTEX TAIPEI 2013 as it shifts and shapes civilization with the largest ICT marketing venue under the sun. At this very moment Taipei is under occupation by a virtual army of exhibitors and visitors who will change smart technology forever. To make it all click, TAITRA is turning on a full list of services, features and attractions. Buyers are “the force” behind COMPUTEX TAIPEI, and this year the world’s best procurement hub welcomes major buyers representing big names like Best Buy, leading retailer in consumer electronics in the US; Harvey Norman, the largest electronics retailer in the New Zealand and Australia region; Staples, America’s largest office supplies retailer; Lenovo, world’s number 1 notebook manufacturer; and Huawei, number 1 mobile phone manufacturer in China to visit COMPUTEX. With them are 11 buyer delegations from the emerging markets, Europe and the Americas. In addition, international visitors are expected to grow 10%, reaching 38,000 this year with a total show attendance of over 140,000. TAITRA received requests to hold more than 1,800 Procurement Match-Making Meetings and has extended these talks to take place from 2 to 4 days! This hub of ICT is packed with 1,724 exhibitors using 5,042 booths. They represent every facet of the industry with top companies like Acer, ASUS, Avantech, Genius, PNY, ADATA, Biostar, Apacer, Kingmax, Delta, Transcend, Intel, Microsoft, AMD, Corning, Ford, Marvell, WD and Bayer who are joined by the USA Pavilion, Korean Pavilion and 4 other international pavilions. New product announcements: COMPUTEX TAIPEI has grown up with the industry by serving as the key tech and product launch platform. There are also more than 40 new product announcements and press conferences before and during the show. For example, Acer will be announcing 8-inch tablets with windows 8 Iconia W3-810AMD and ASUS will present Ultrabook - Zenbook Infinity with Corning’s Gorilla Glass. Other companies such as AMD, ARM, FORD, Intel, Microsoft, Nvidia and Qualcomm are using this platform to make new product announcements. Visionary FORUMS for the future: SUMMIT FORUM consists of an unbeatable line up of Steve Mollenkopf, President and Chief Operating Officer of Qualcomm; Benjamin Ho, Chief Marketing Officer of HTC; Ian Drew, CMO of ARM; Arun Bhikshesvaran, CMO of Ericsson; Been-Hon Woo, Senior Director of TSMC with topic: Jumping Generations - Visionary Technology for the Future. Other Industry Forums consist of top executives from ARM, ASUS, IBM, Oracle, Siemens and NXP with hot topics such as cloud, M-commerce and smart living. There will be 162 speeches and forums featured at the show. COMPUTEX TAIPEI design & innovation awards represent the core of COMPUTEX TAIPEI. A total of 90 winning products are chosen for the awards from 250 product entries. The 24% increase on the number of entries this year reflects a growing recognition for the Awards. TAITRA is the only award organizer who sends all awarded products on a grand global tour to display throughout the year at leading ICT exhibitions. 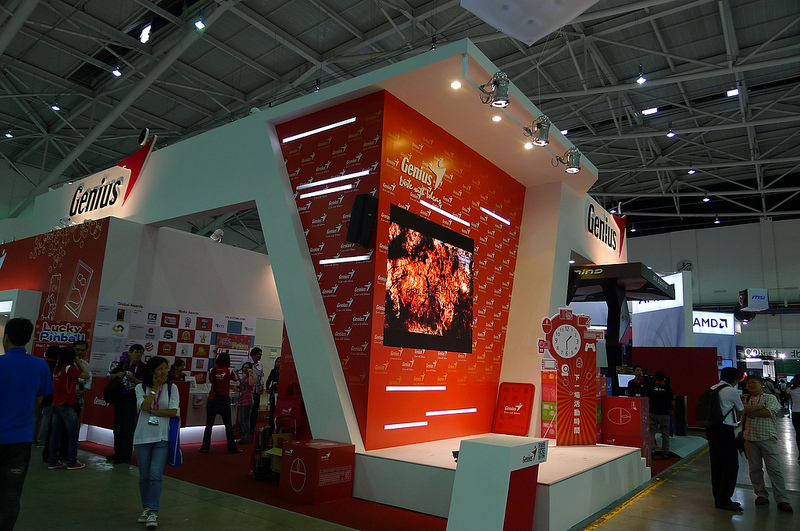 COMPUTEX TAIPEI d&i awards are displayed at NANGANG Exhibition Hall and TICC during the show. 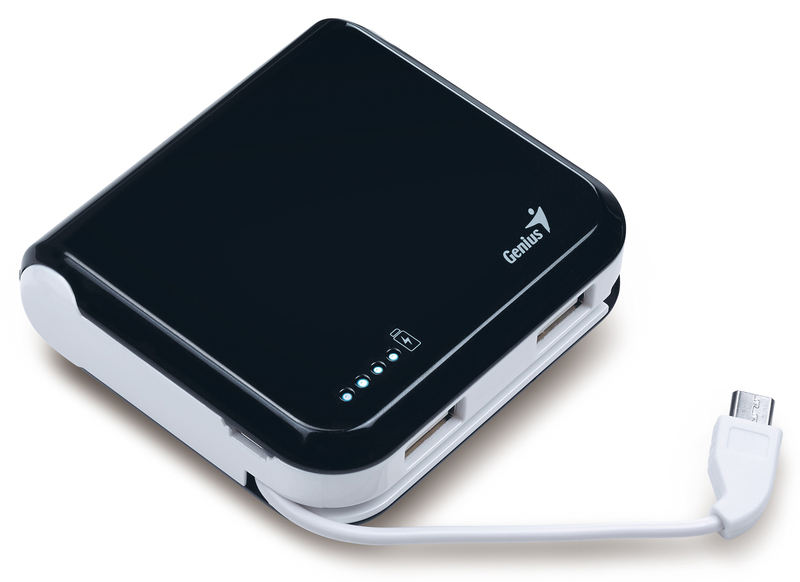 Taiwan –based Genius is an international leading company in computer peripherals, releases the Eco u500 portable power banks to keep one’s smart devices working. Now days everyone is looking for the high quality external battery as everyone is tired of running out of battery power before the day is over. The Genius power bank is the right choice and most reliable and safe to operate, depending on the model the power capacity can be up to 10400mAh which is ideal for on the go and long haul travelers. Two USB outputs of up to 2.1 amps can provide power for one’s smartphone as well for tablet simultaneously. Plus, the built in micro USB cable is easy to connect to one’s micro USB device anytime and anywhere. 2013, Computex, the world's second largest and Asia's biggest technology trade show and exhibition held in Taipei every year, is about to start and PNY is proud to be a participant again this year. 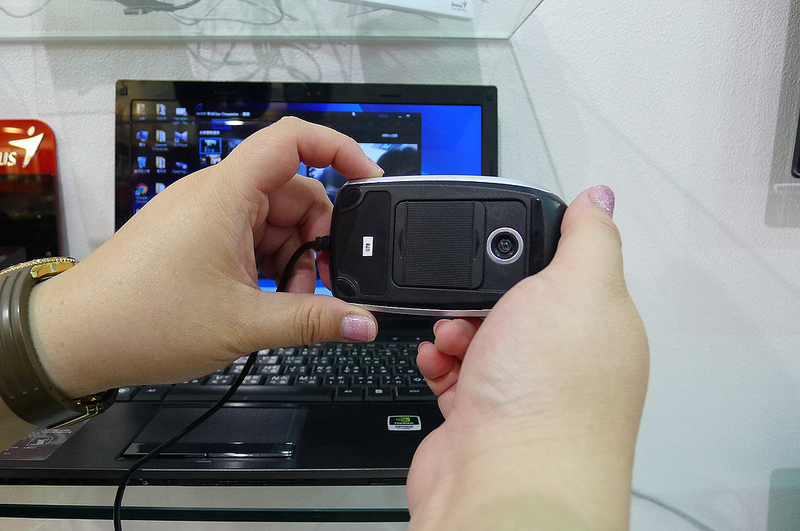 This Year Computex 2013 will hold during June 4th to 8th in Taipei. Computex will attract thousands of manufacturers from around the world with PNY also set to show off its hi-tech products. PNY is among the top three storage brands today, selling products in over 50 countries around the world in online as well as retail shops. 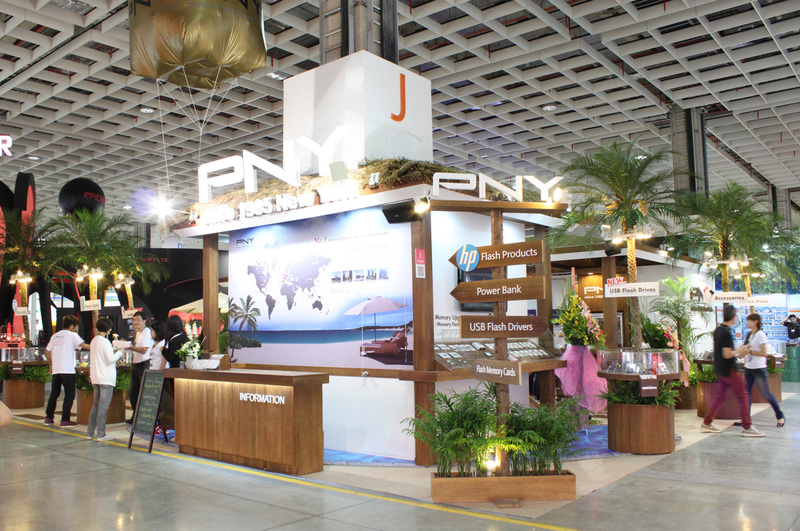 Just like every year, PNY's booth will have a different theme this year that will set it apart from the competition. 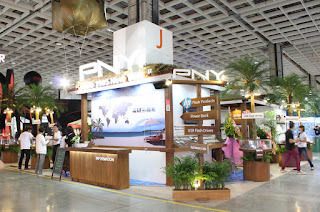 PNY will recreate Bali beach at its booth this year with a resort-like getup. 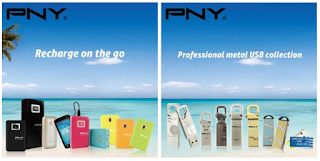 This is a reflection of PNY's philosophy of enjoying a relaxed life while also using its latest products such as the power banks and other 3C products and equipment. The message being conveyed is that modern technology in a relaxing environment gives a unique experience. battery capacity that is sufficient to charge almost any gadget. LED indicators make it easy for the user to understand the power and charging status. 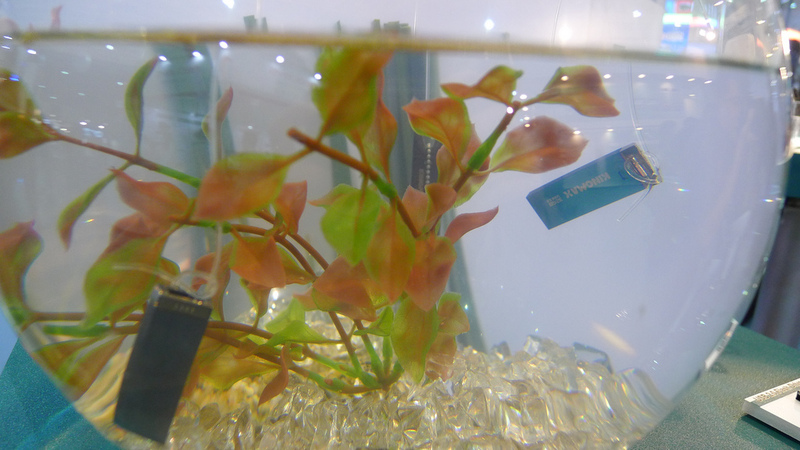 PNY has done research and used its experience to deliver high quality products with CE/FCC/SGS/UN38.3 certifications. PNY will also Showcase its various USB 3.0 flash drives such as Bar-II, Hook Gold Edition, and Lightning. These elegantly designed flash drives with stylish looks offer high performance due to the fast USB 3.0 interface that is much faster than the older USB 2.0, while also remaining backward compatible to be used on older systems with ease. 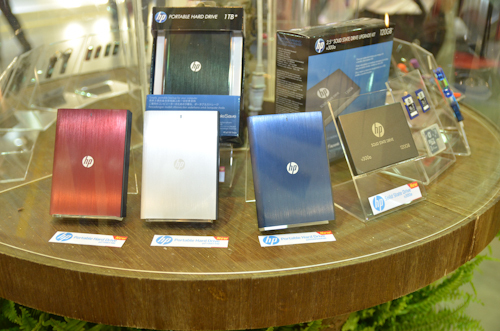 PNY also has other products such as memory cards, headsets, and HP product lines that will be exhibited. 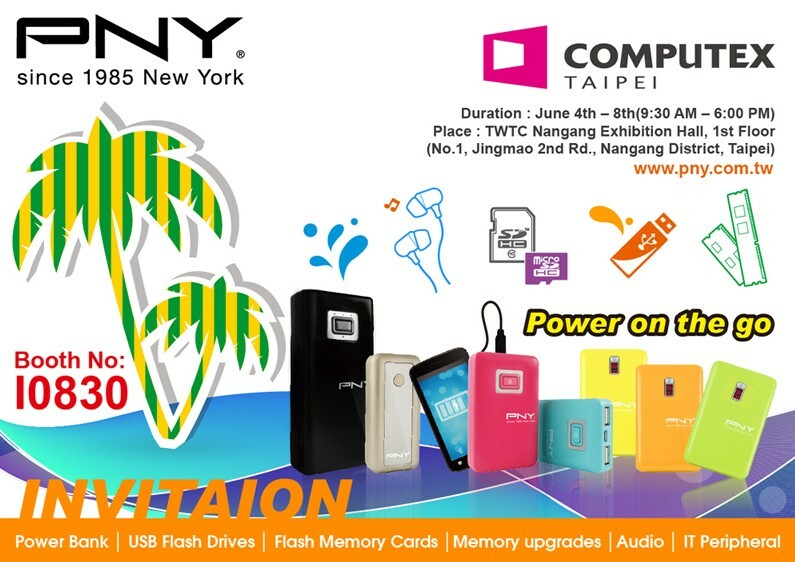 Computex Taipei will start on June 4, 2013 and will last for 5 days with PNY booth being available for your perusal throughout the duration. 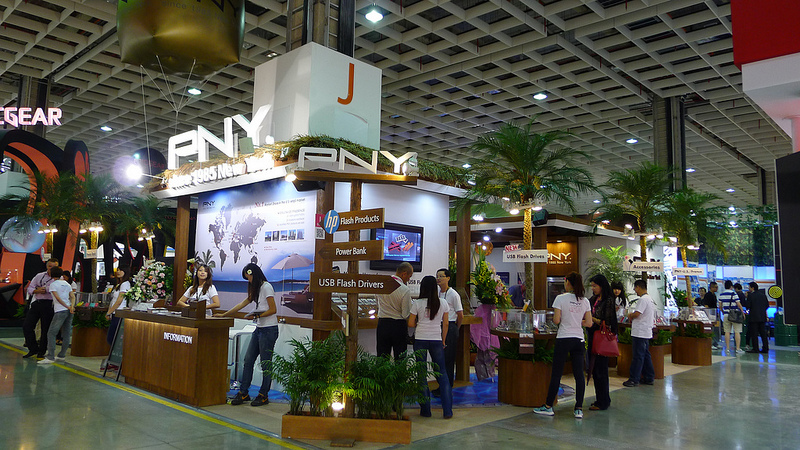 We invite you to visit our booth to take a look at our entire product range and also enjoy the unique and casual beach theme.